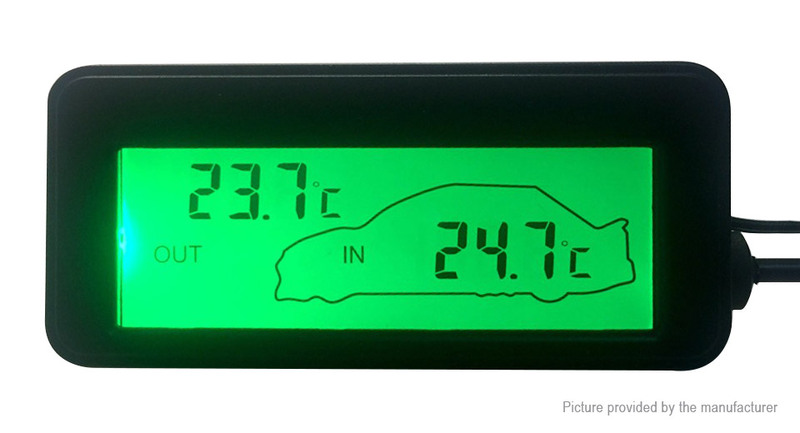 Real-time LCD display of the temperature inside and outside your car. temperature inside and outside your car with the backlight on. Temperature measurement range: inside the car -20 – +70 degrees Celsius; outside the car: -50 – +70 degrees Celsius.